We woke-up and hit the trail, covering 14 miles before lunch. 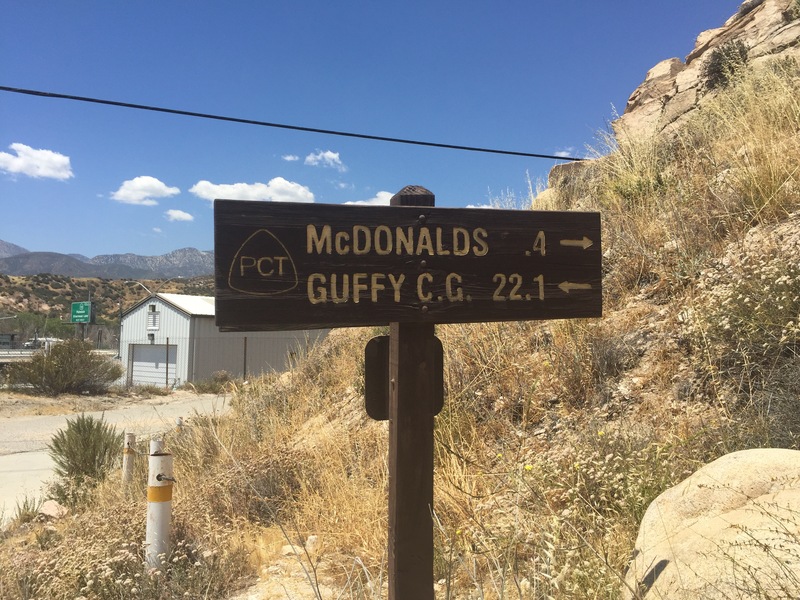 We were motivated by food, as we were picking-up a mail drop in Cajon Pass, and by McDonalds! 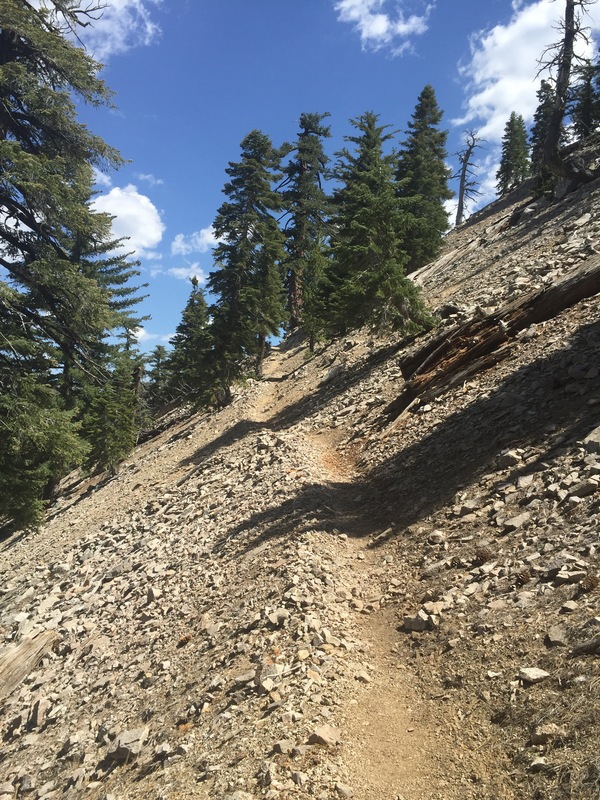 It’s rare that the PCT passes within 1/2 mile of a business, and when it does we take advantage! I haven’t been to a McDonalds for anything but a coffee in a very long time, but I had no complaints with my egg mcmuffin, fries, strawberry shake, and side salad (except if I could do it again, I would ditch the salad for another egg mcmuffin)! We spent the rest of the day at the hiker friendly Best Western there, sorting through our fresh 6 days worth of food, cleaning-up, doing laundry, and lazing about. 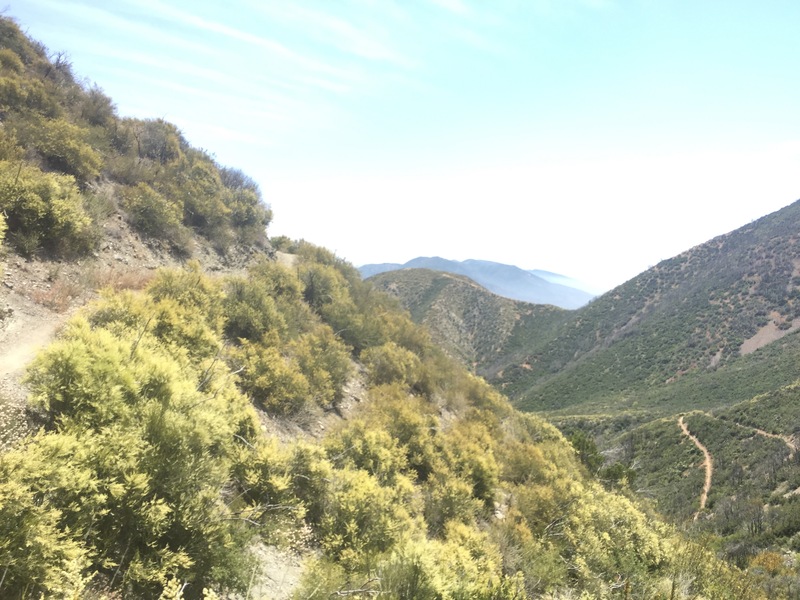 We got a later start the next day, but the day sure didn’t- it was hot at 8am as we started the long climb out of Cajon Pass. The next sure water source wasn’t for 28 miles, so in addition to 6 days of food we carried 6 liters of water each. Our packs were by far the heaviest they’ve been all trip, and that combined with the heat and the climb slowed us down considerably. Fortunately there were 2 water caches along the way, and we drank plenty at each to help us stretch out water out. We found a nice camp spot 15 miles in, and decided to call it a day. We also tried to eat the heaviest of our food for dinner that night! Regarding food, we decided not to bring a stove to cut down on weight. For breakfast we have granola with dehydrated berries that we refresh with some water. Lunch and snacks are a mix of granola bars, dried fruit, trail mix, and other energy-type bars. For dinner, we bought a mix of instant mashed potatoes, and quick cooking pasta and rice dishes. We just have to add water to the mashed potatoes, and they magically turn into dinner. The rice and pasta sides just have to soak in water for an hour or so, and they are good to go. We brought some dehydrated veggies to mix-in as well. While it may not sound appetizing, we’re enjoying it! 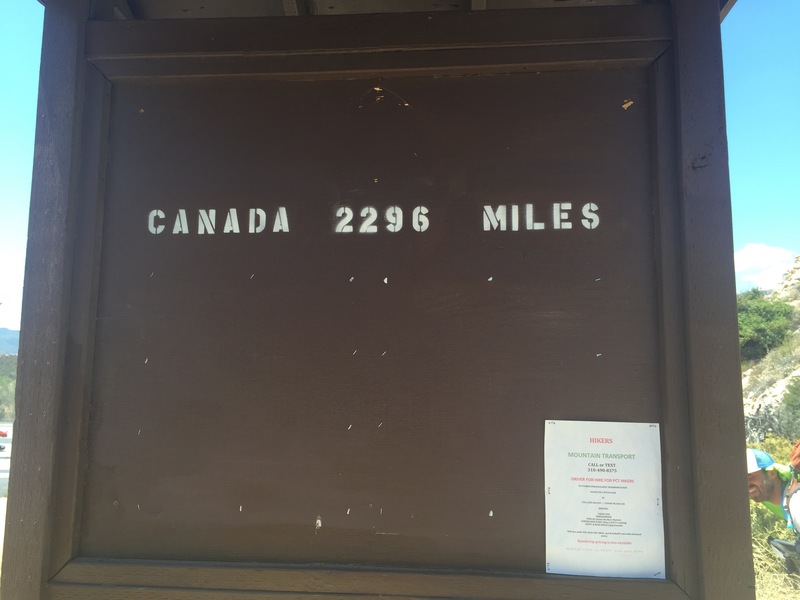 We bought a large variety of foods, and are mailed them out to hiker-friendly businesses and post offices along the trail for us to pick-up when we pass by (24 in all). Cajun rice & beans, and teriyaki rice are so far our favorites (especially with sweet & spicy tuna packets for protein)! Day 23, with our packs a bit lighter and the weather a bit cooler, we pressed back into the mountains. At the next water stop we ran into my friend Jennifer again, and got to meet her sister, Erin. It was nice to catch-up. Afterwards, we descended into the notch, only to start the climb up Mt. Baden Powell. We heard thunder, and saw clouds gathering, so we took the first campsite we saw, about 1.5 miles below the summit to be safe. We felt a few raindrops, but that was it. We went to bed excited to see the view the next day! Glad you have water caches!! Who’d have thought McD’s would be such a treat? Seen any more wildlife? Sending you a cool sea breeze from Maine…..
I’m glad to hear they have caches of water along the way! Any more wildlife? Take care,you two! Sending you a nice cool sea breeze…. The water is much appreciated! We’ve seen lots of non-rattle snakes, tons of lizards, birds, and chipmunks. Thanks, Laura! Just one foot in front of the other, is what we keep telling ourselves!